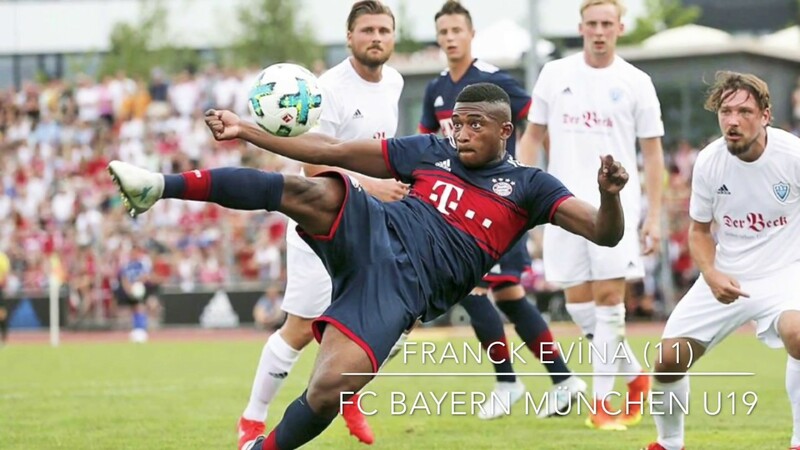 Franck Evina has signed his first professional contract with Bayern Munich, in a deal that runs through till June 2021. A fortnight after the 17-year-old forward made his senior debut in the Bavarians’ 4-1 rout of Eintracht Frankfurt, the teenager has committed his future to the German Bundesliga champions. Evina, 17, born in Yaounde, Cameroon, joined Bayern U14 side from SV Neuperlach-München in the summer of 2013 and he rose through the ranks.